Choosing a smartwatch that’s not part of the world’s best-selling family can be pretty hard nowadays, as Samsung alone offers three very solid Apple Watch alternatives at extremely reasonable prices. The Galaxy Watch, Gear Sport, and Gear S3 are even cheaper when purchased refurbished, pre-owned, or in “new other” condition from trusted eBay sellers, but of course, those kinds of arrangements come with potential risks and compromises. Getting a brand-new Samsung Gear Sport in black or blue from reputable third-party retailer BuyDig is obviously a completely risk-free affair, and for a no doubt limited time only, you can shave a whopping $111 off the list price of this excellent fitness-first smartwatch. All you need to do is apply the coupon code “RUN” in your cart, with the heavily discounted price of $169 reflected at checkout, and both a standard US warranty and shipping included at no extra costs. In case you’re wondering, the same exact device in the same two color options is currently available at Best Buy and Samsung’s official e-store for a whopping $279.99. Obviously, the sporty smartwatch has been on sale before, but only a couple of times for less than 200 bucks in brand-new condition... several months back. Also, despite what the name might suggest, this bad boy is not that different from the newer Galaxy Watch and older Gear S3. 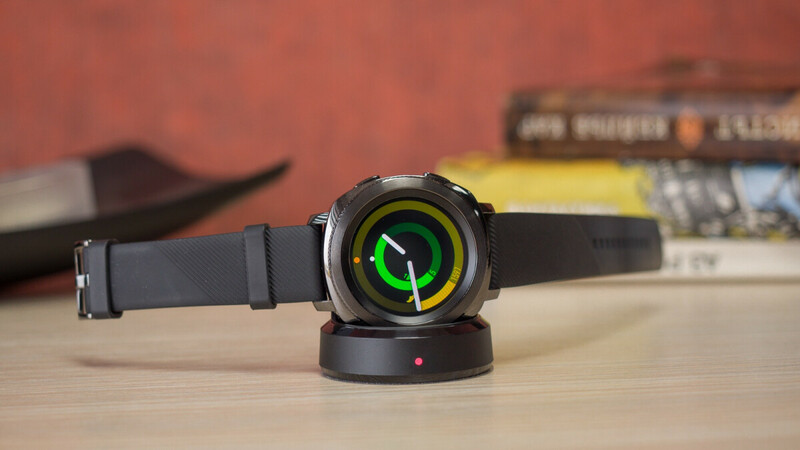 The three share an equally convenient rotating bezel for smooth UI navigation, beautiful AMOLED displays, stellar battery life, heart rate monitoring capabilities, GPS functionality, wrist payment support, and even specifications like 768MB RAM and 4GB internal storage space. In our in-depth review back in 2017, we only found a few things “wrong” with the Samsung Gear Sport, none of which should impede a purchase at an ultra-low price of $169.